Venice, one of Italy’s most famous cities, was flooded for a few days. Heavy rain, strong winds, and high tides raised the water level, and about 70% of the city was under water. It was one of the worst floods since 1872, which is when people started keeping records of floods in the city. The water was 1.5 meters (5 feet) deep. Folks in Venice had to wade through water to get around. Some people even swam around. Many shops and homes on the lowest floor were damaged. Chairs, tables, boxes, and other items floated around. Some other parts of Italy have also been struggling with flooding issues caused by very heavy rains. Venice is situated on the coast of the Adriatic Sea. It gets some flooding every year and the city sets up wooden platforms for people to walk on. However, this year, the water level was so high that many of the platforms were also under water. The city of Venice is working on solutions to reduce flooding in the city. Venice is considered to be one of the most beautiful and romantic cities in the world. It has been known as the “City of Canals”, “City of Bridges”, and “City of Water”. Venice is a city built in a shallow lagoon. The city is made up of about 100 islands, 150 canals, and 400 bridges. There are no roads in the city, so it is a car-less town. The only forms of transportation are on water and on foot. There are roads, car parking garages, a train station, and an airport at the edge of the city. One of the famous symbols of Venice is a “gondola”, an old Venetian boat. Gondolas are still in use today, though mainly by tourists or for special occasions. 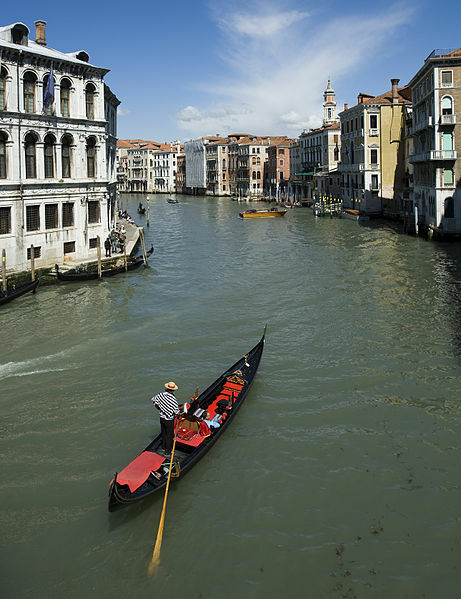 All Venetian gondolas are painted black – it was a law that was passed in the 16th century. Most Venetians travel by water buses called “vaporetti”. 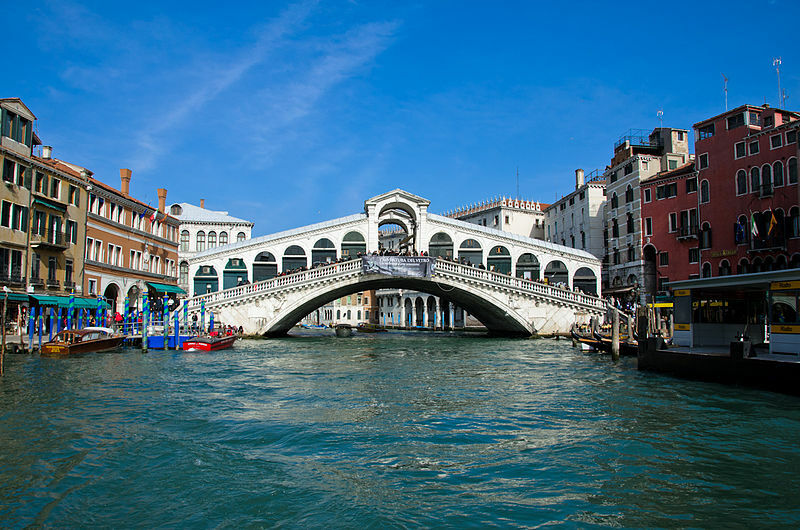 Venice has one of the world’s most famous bridges called the Rialto Bridge, built in 1591. Venice is so famous that there are huge casinos in Las Vegas, USA and Macau, China that try to create a mini-Venice inside, including canals, gondolas, and even a copy of the Rialto Bridge! The name of a country in South America, Venezuela, means “little Venice”. This is because the early European visitors to Venezuela first ran into natives that lived in homes built on stilts over the water, reminding them of Venice.